What makes a successful FAM trip? Is it the comfy shoes, the company you keep or a day planner full of luxury resorts you’ll soon be promoting back home? Based on this reporter’s observations during the recent ACV Dream Makers FAM to Puerto Plata and Samana in the Dominican Republic, it’s a combination of all these things and more. It goes beyond setting goals and sales targets. Yes, we all strive to grow our business, but at the end of a four-day FAM trip, it’s the team spirit you feel as a group, sharing stories, asking questions, and making connections, that you remember the most. 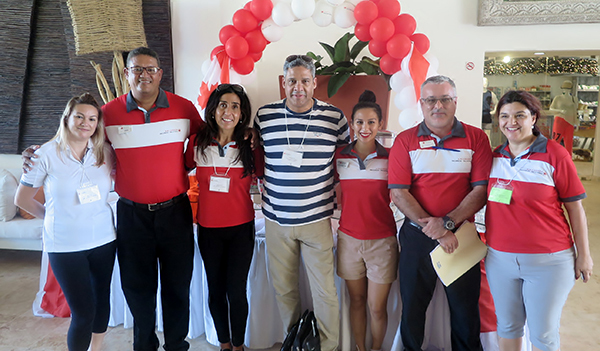 Even with four Air Canada Vacations FAMs under her belt, Dana Gain Senior Director, Sales, Groups and Partnerships, told the group of 90+ agents that this one was her favourite. Not only did this group of ACV Dream Makers hit the ground running, they were thirsty...and not just for the fancy mocktails in carved-out pineapples (yum)! Their expectations were high and so was their thirst for knowledge, especially the first-timers to the DR and on a mega FAM such as this. 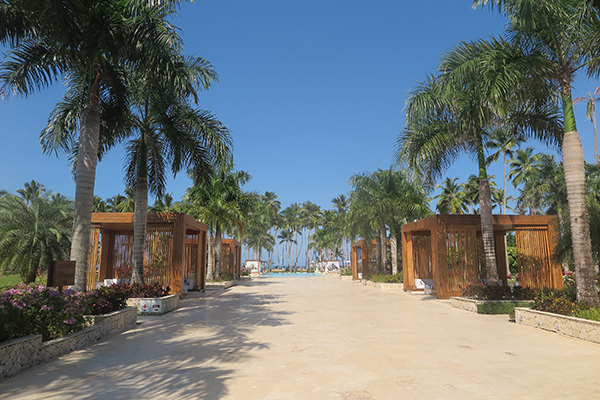 It can be daunting at first, when you see a list of 14 resorts to cover in two cities over four days, but most saw it as an opportunity to gain a firsthand look at developments in Puerto Plata and Samana. When you think of the northwest coast of the Dominican Republic, you think golden sand, coral reef, kite-surfing and mountainous landscape. The D.R. is the Caribbean’s second largest island, and the most visited Caribbean island, with almost 6.2 million tourists in 2017. Abdalah Castillo, Chairman of the Dominican Republic Ministry of Tourism, says more Canadians than ever are flocking to the D.R. With growth each year since 2004, Castillo points out by comparison that while the U.S. makes up 30% of visitors, Canada is disproportionately strong, with 22% of the market and over 800,000 visitors per year. Puerto Plata and Samana are popular destinations for weddings, honeymoons, and families. The Sunscape Puerto Plata is a perfect example of a family-focused resort with its own ‘Sunscape Turtle’ mascot to greet visitors. The kid-friendly programs and teen spaces equipped with all the latest games and daily social events like disco mixers during daytime hours mean there is something for everyone. ACV Dream Makers Group A with Sunscape Turtle. Among the agent-favourite properties explored during the trip was the classic-style all-inclusive Iberostar Costa Dorada, the sophisticated luxury of the newly built Senator Puerto Plata Resort, and the quiet relaxation of the off-beach VH Atmosphere. 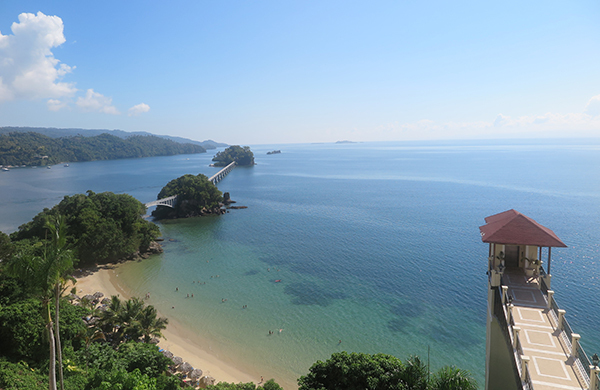 In Samana, our group of agents was impressed by the rugged terrain, crystal-clear beaches and terraced properties. One of the highlights was the Viva Wyndham Samana for its grand entrance, offering unobstructed views of the infinity pool, pool-side cabanas and sandy beach. Enticing views at Viva Wyndham. L-R: Sheila, Simon, Dianne, Abdalah, Martha, Yannick, Marianna. And whoever thought they would take an elevator to the beach? This is true of two Bahia Principe resorts -- the Grand Bahia Principe Cayacoa and Luxury Bahia Principe on the semi-private island of Cayo Levantado. 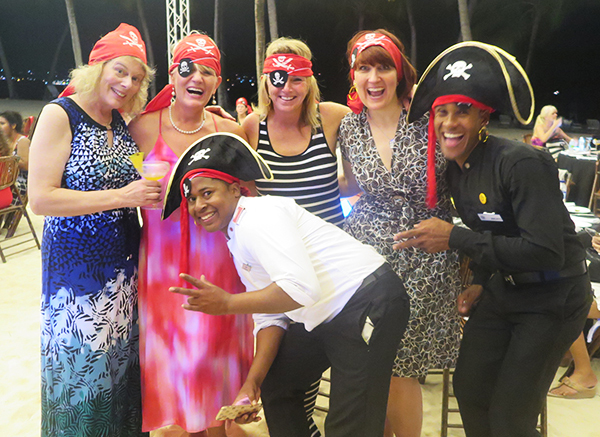 Also the setting for our final gala dinner, Cayo Levantado was a 10-minute boat shuttle away from the port reception area and agents kicked off their shoes for a pirate beach party to remember! Grand Bahia Principe Cayacoa elevator to beach. Lori Soychak, and Kathy Hamelin. Looking back, I wondered how we covered that many resorts in two cities without a hitch! Well, there was that minor tire blowout for Group A, and shortly after that Group B’s bus broke down along a busy two-lane highway heading to Samana. An avid traveller, adventure seeker and travel expert for over 15 years, Karen has toured over 35 countries around the world. She shares her first-hand knowledge of unique and off the beaten path destinations including hidden gems in Asia, adrenaline-rushing African safaris, and the fascinating culture of French Polynesia. Great article and pictures, Karen! This FAM was my favourite one yet! 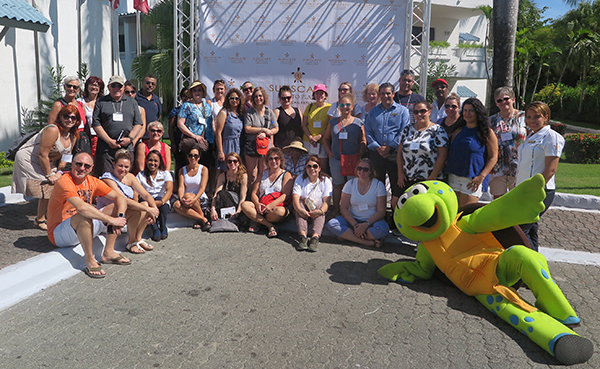 Such a great opportunity to explore beautiful Puerto Plata and Samana!